Microcrystalline cellulose, vegetable cellulose, silica, red beet powder (color), vegetable magnesium stearate, vegetable stearic acid, titanium dioxide, maltodextrin, vegetable glycerin. 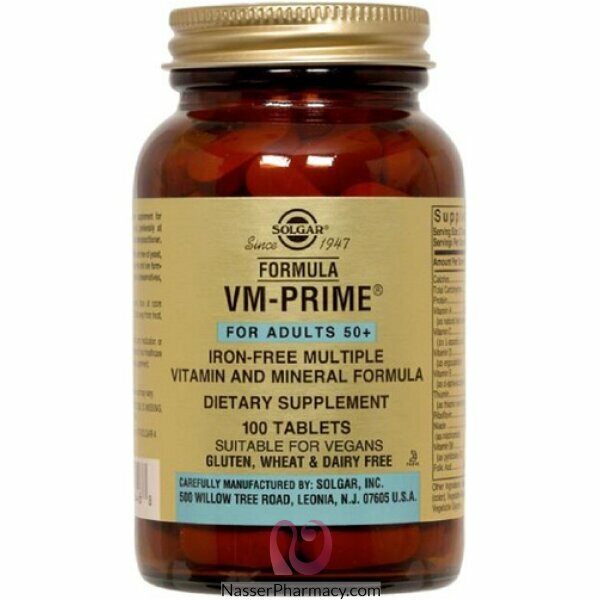 Solgar's Formula VM-Prime tablets are free of yeast, wheat, soy, dairy products and gluten and are formulated without the use of artificial preservatives, flavors or colors. * Percent Daily Values (DV) based on a 2000 calorie diet. ***Naturally occurring; therefore amount may vary.